Reports to work on time to prepare for the day’s work. Responsible for moving trailers in and out of assigned loading dock doors. 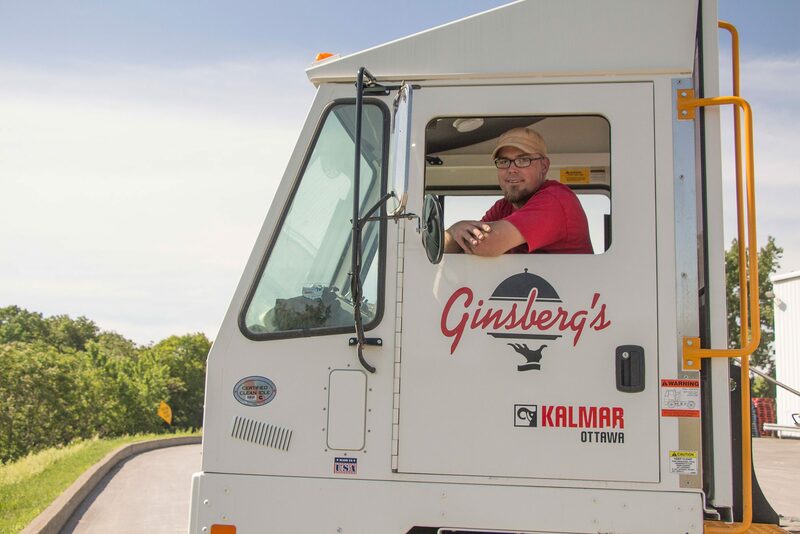 In accordance with Ginsberg’s Foods policy and procedures, when necessary will conduct pre-trip and post-trip inspections on tractors and trailers. Drives in a safe and courteous manner, obeying all DOT requirements, traffic laws, logs and regulations. When necessary, adheres to all company safety programs and practices to ensure personal safety and the protection of company vehicles and/or equipment. Safely navigates various surfaces, temperature zones (dry, cooler, frozen), inclines, ramps, steps and stairs, while working in the yard, within the warehouse and on the equipment. Interacts in a professional manner with all departments and vendors. Maintain accuracy of yard management while communicating with Warehouse Manager or Warehouse Supervisor to enhance dock efficiency. Communication of truck/trailer maintenance problems with the Transportation Manager, Transportation Supervisor, Warehouse Manager or Warehouse Supervisor. Conducts daily outbound trailer inspections to include checking for product tampering, pest presence, trailer cleanliness and proper temperature settings. Light mechanical maintenance of trucks, at times may have to shuttle trucks/trailers to vendors for repair. Regularly verifies proper operation and temperatures of refrigeration units. Attends all driver and safety meetings as required. When not driving, may be required to perform a variety of general maintenance tasks in and around the facility. Unloads totes, pallets, returned and damaged products from truck onto dock. Sweeps and washes trailers clean when necessary. Fuels tractor and trailers, and checks all fluids, on a daily basis. Performs other functions as required or directed. Current knowledge of the laws, rules, and regulations required to possess a Class A CDL. Ability to safely operate a tractor and trailer in accordance with all DOT regulations and traffic laws and regulations. Ability to regularly lift and/or move eighty (80) pounds. Ability to successfully navigate stairs. Ability to drive and work in all types of weather conditions. Ability to obtain certification and operate company equipment necessary to unload trailers. Ability to work long work hours when necessary (as governed by Federal Regulations). Ability to successfully deliver product within strict deadlines. Ability to effectively operate tractor on-board computer system. Ability to read and understand paper maps and GPS for the purpose of navigation. Ability to manage difficult or emotional customer situations and respond promptly to customer needs. Ability to accurately understand oral and written communication. Your career starts here by completing the brief application below. Complete the application now and someone from Ginsberg’s will contact you in the very near future. We look forward to having you as part of the team. Please list your last two employers. You may attach your resume to this application in lieu of completing this section. Do you have a valid CDL-A Driver's License? Can you repeatedly lift 80 pounds or more throughout the day? I certify that the information given by me in this application, and any attachments included as part of this application, are true and correct to the best of my knowledge. I understand that the omission and/or misrepresentation of any fact from or on this application or during any interview will result in immediate rejection of my application or, if I am hired, will be cause for immediate dismissal. Unless I otherwise noted, I authorize Ginsberg’s Foods to contact all my employment references and personal references, as well as the educational institutions I have attended. I authorize investigation of all statements contained in this application for a complete background check, and agree to execute any consent forms necessary for Ginsberg’s Foods to conduct its lawful pre-employment checks. I hereby release Ginsberg’s Foods and all affiliated persons and entities, as well as any person or institution that provides Ginsberg’s Foods with any lawful information about me, from and all liability whatsoever resulting from such lawful inquiry, investigation, or communication.